Join us and our award-recipients for an evening of mixed drinks and celebration! Featuring live music with Vancouver artist David Morin and tunes with DJ Yurie. Lawrence Hill is a Canadian novelist, essayist and memoirist best known for his 2013 Massey Lectures Blood: The Stuff of Life and his critically acclaimed 2007 novel The Book of Negroes, which has been adapted into a mini-series for CBC Television. Actively involved in community outreach, CBC Radio Host Margaret Gallagher has tirelessly donated her time and efforts to many Vancouver events. She has hosted dozens of events for a variety of arts and community groups, including: UBC & SFU Alumni Associations, Asian Heritage Month, The Vancouver International Jazz Festival, the Vancouver International Folk Music Festival and Hapa-palooza Festival. 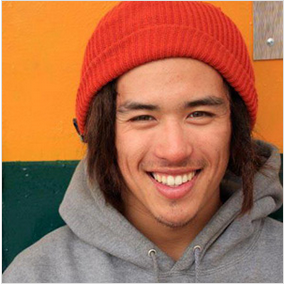 Humanitarian and environmentalist, Tamo Campos is the founder of Beyond Boarding, a group of snowboarders making positive change. Beyond Boarding is a grassroots organization that strives to stand up against environmental and social injustices, working together as a collective to raise funds for front line communities, raise awareness and take action to move towards a better future.